We are urging all franchisees of Subway branded restaurants to review their leases and franchise agreements without delay. As many Subway franchisees know, Alderman & Alderman has been representing owners and operators of Subway franchisees in disputes with the franchisor, formerly Doctor’s Associates Inc (“DAI”) and now known as Doctor’s Associates, LLC (“DAL”) in arbitrations and litigation in state and federal courts for many years. Historically, the majority of the disputes that we saw related to actions by DAI to terminate franchises for alleged non-compliance with the terms of the franchise agreement. Recently, however, we have seen an increase in the number of calls related to the real estate leases. 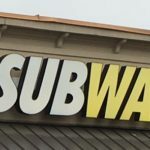 As Subway franchisees know, most acquisitions of Subway franchises come with Subway Real Estate, LLC (“SRE”) requiring the landlords to enter into leases with SRE and then SRE subleasing the premises to the franchisees. That SRE failed to pass along to the franchisee legal notices received from the franchisor. Unfortunately, in some cases the franchisees discovered the problem after certain critical dates had passed, limiting the options available to them. If you are a franchisee and you have not had your franchise agreement and lease reviewed by counsel recently, we urge you to ask your attorney to review them for you now. In most cases, a lawyer can review your franchise agreement, your lease and any addendum to it for less than $800. If your attorneys have questions, please encourage them to contact Myles Alderman.